News I don't have time for myself or my partner. What can I do? I don’t have time for myself or my partner. What can I do? You may feel frustrated at just how much work there is to do, and at how difficult it is to “have a life” outside of babycare. Fortunately, there are plenty of coping strategies, and it DOES get easier! Make sure you retain some of your original routine and lifestyle, maintain contacts with friends and acquaintances. It’ll help if you talk about your feelings to your partner. Roughly plan your day but be flexible with your daily routine. Try to follow your baby’s lead and fit your life around it, making space for yourself even if it’s only half an hour for a soak in the bath. Plan to spend time with your partner, both alone with your new baby and socially. Newborn babies are very portable and you will be able to take him with you when you go out together or visit friends. 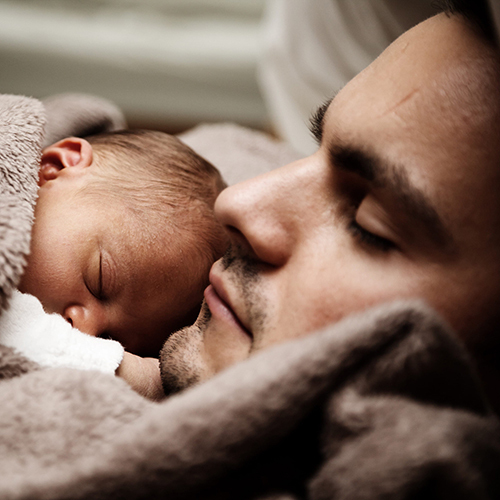 Make the most of your time at home with your partner, especially when your baby is asleep. He may feel left out. Your relationship will benefit from this precious time together and retaining some normality to your lives. Try and find a babysitter experienced with babies and young children and go out together alone. You may need to express milk if you are breastfeeding but this time together away from your baby is important, so persevere.